Well for whatever reason, CPs have been on my mind for two days. With some ?benign? 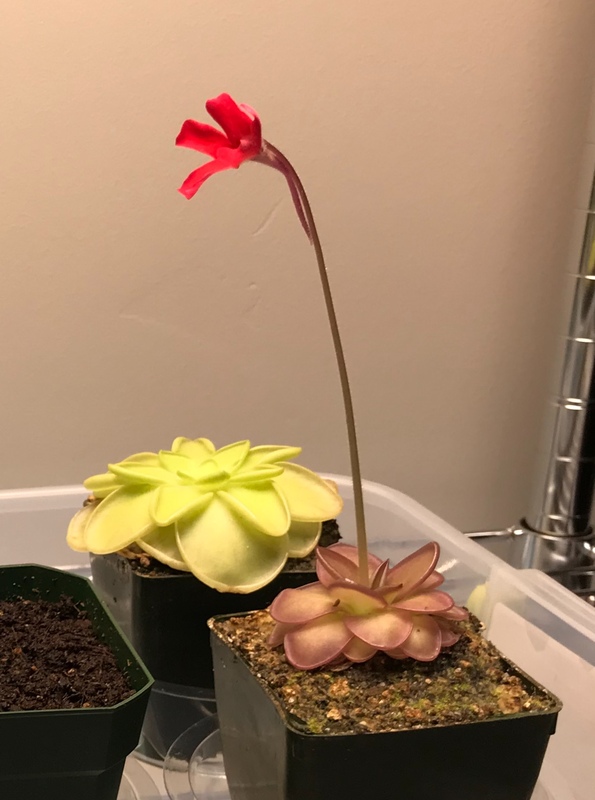 encouragement on the welcome forum, I placed an order while ago, for a VFT 'King Henry', drosera spatulata, and ping x marciano. 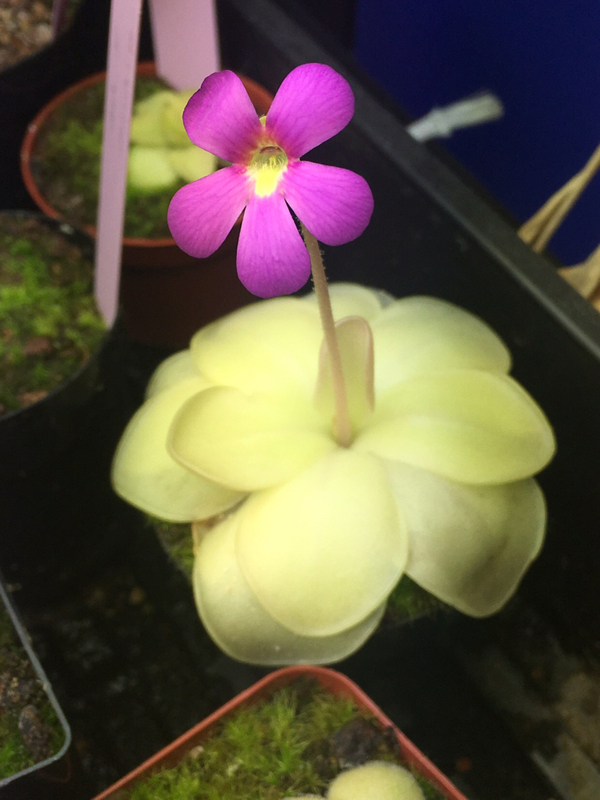 While I was aware pings existed before this, I had never paid them much attention, but started looking over the incredible photos in the forum and thought I absolutely HAVE to try to grow one of those. 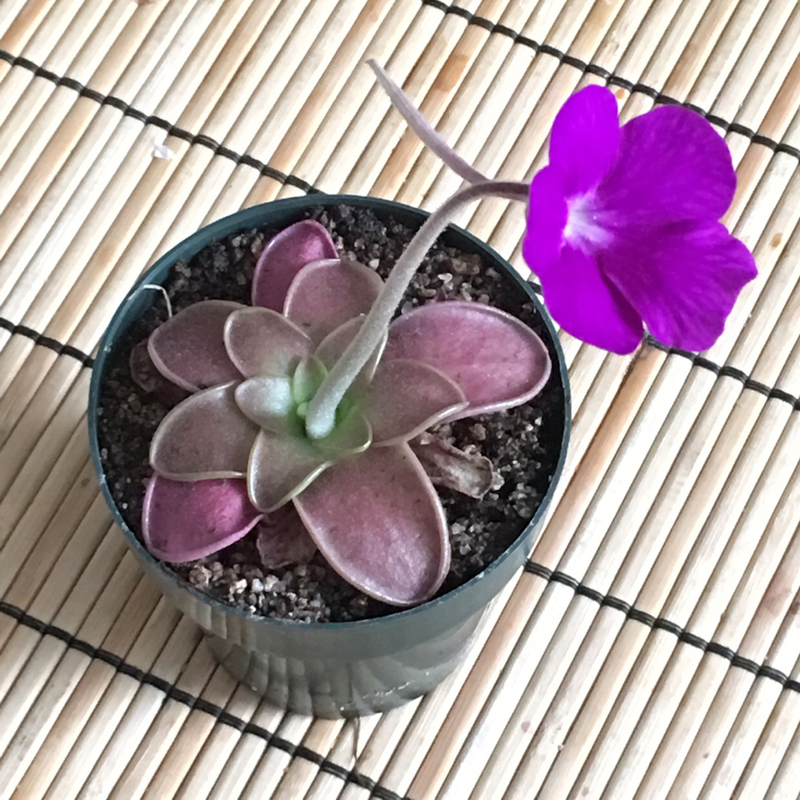 I kinda wanted a ping laueana, gotta love that red flower and I like the leaves too. However Sarracenia Northwest didn't have it in stock, so...that marciano filled the bill. 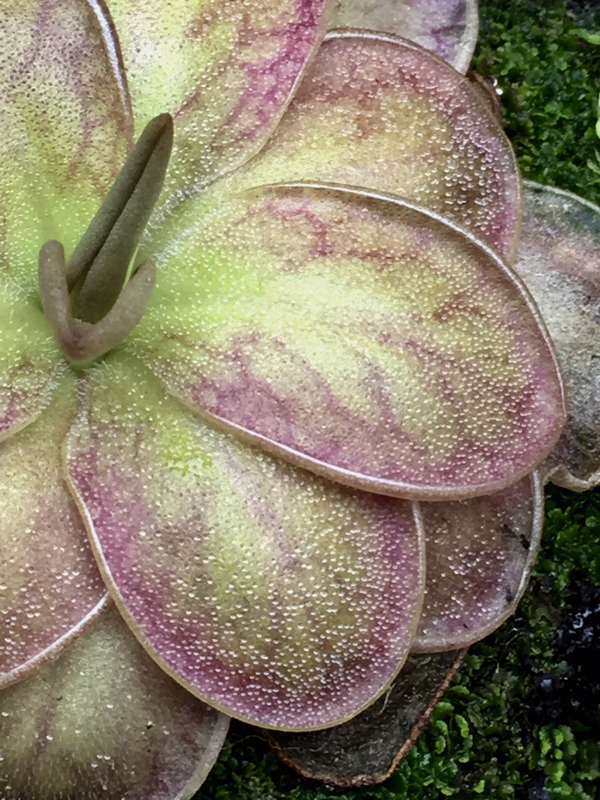 I think the dichotomy of two leaf forms is fascinating for the mexican pings. I hope when mine arrives, they flourish. I'll be reading over the next week or so to clean wisdom from successful folks. Last edited by dbarron; 01-25-2019 at 05:49 PM. 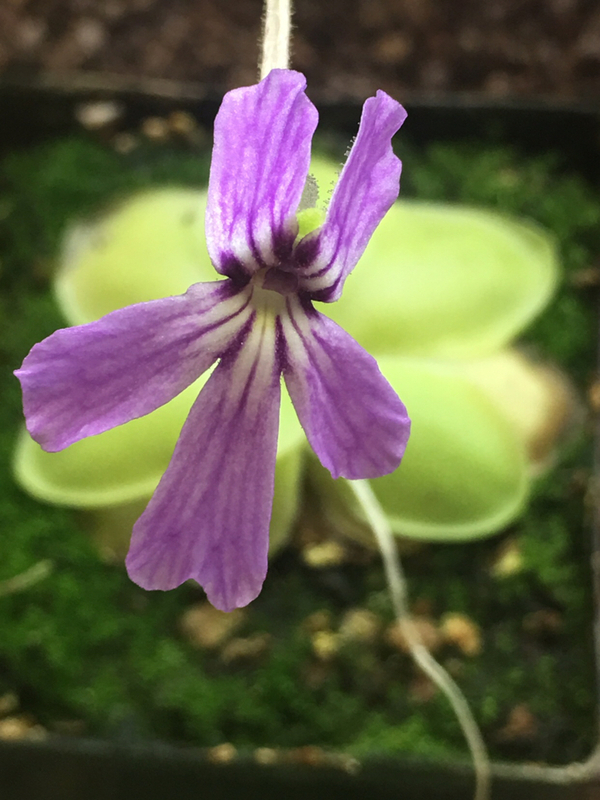 Mexican Pinguicula are way cool. 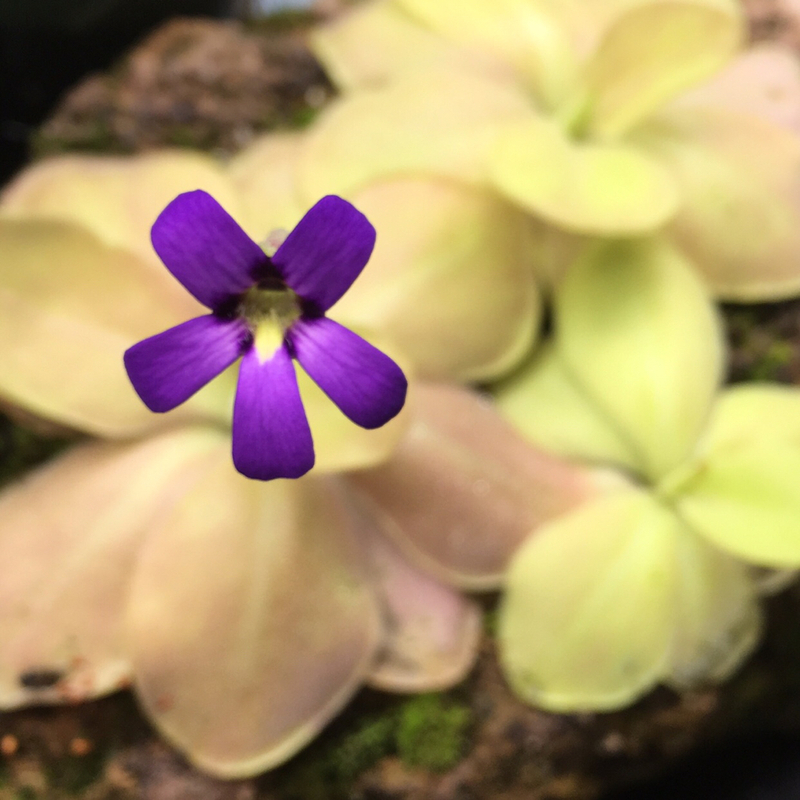 My favorite right now is P. laueana x P. emarginata, pictured below. 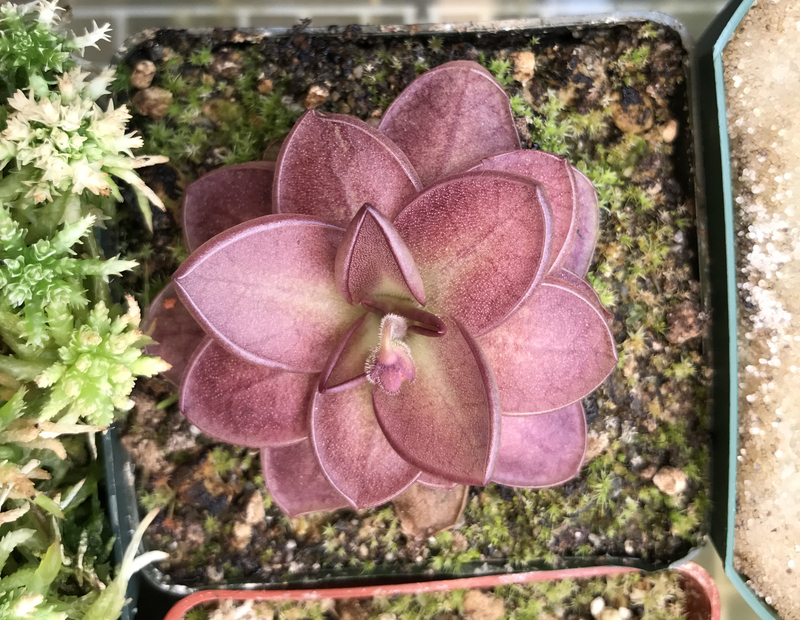 A cool version of p. laueana is the Crimson flower, I grow it but don't have a photo of the flower. Let me know when you offer some of that up for sale, unless I absolutely kill my first ping, I'll be up for it. Hehe...four years ago I would never have thought I’d get into Pings. 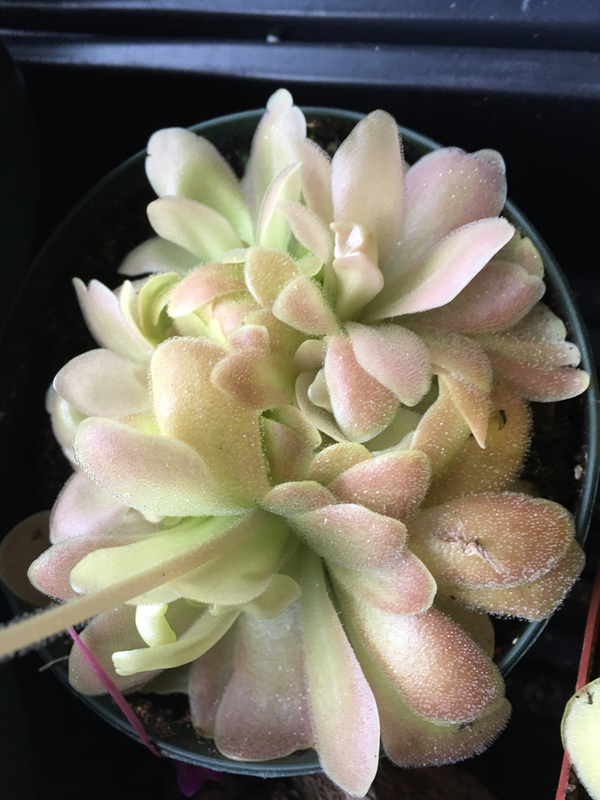 So “innocuous” looking compared to, say, Cephalotus (which I also love, mind you!) Here are a few more to whet your appetite. 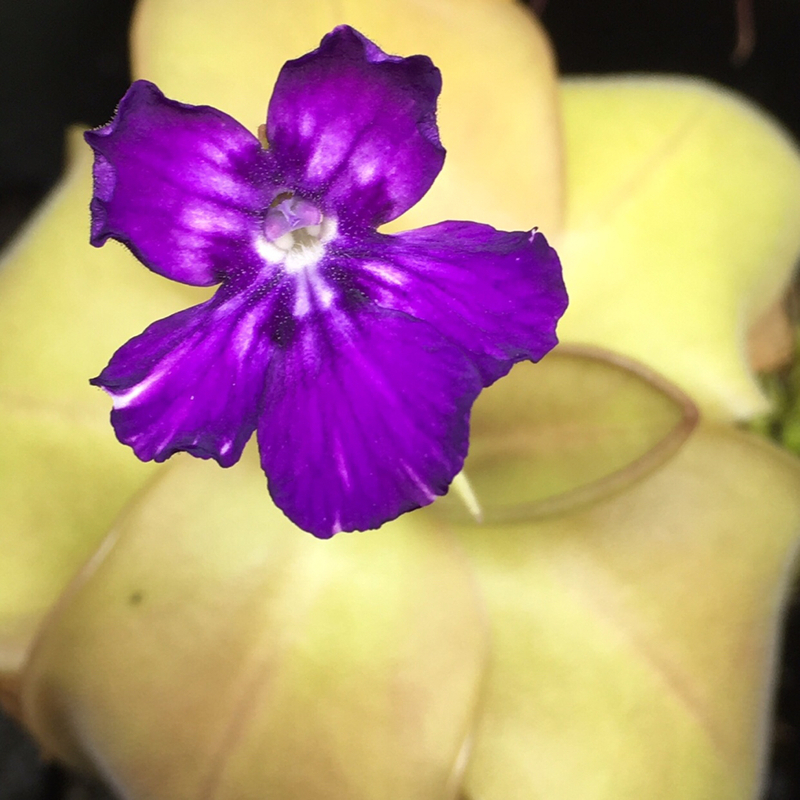 I have a recent shot of my laueana! It’s not a great shot but I have a new one coming in that will give me a chance at a better image. So...my plants have gone forth and will venture through the polar vortex such as it is. Our predicted low was 13 tonight and it's now 5 am and it's 20F, so I won't complain about that. It should be a balmy 64F by the time they hit my mailbox on Friday. My plans for housing them are. Please tell me if I have the wrong idea about some, especially lighting. 1) Inspect VFT and decide if it goes outside or stays in the cool laundry room (50s). VFT will want mostly sun conditions, though some summer shade might be appropriate during the 11-4 hottest sun hours. 2) Ping goes in the laundry room, apparently out of direct sun (or little of it). 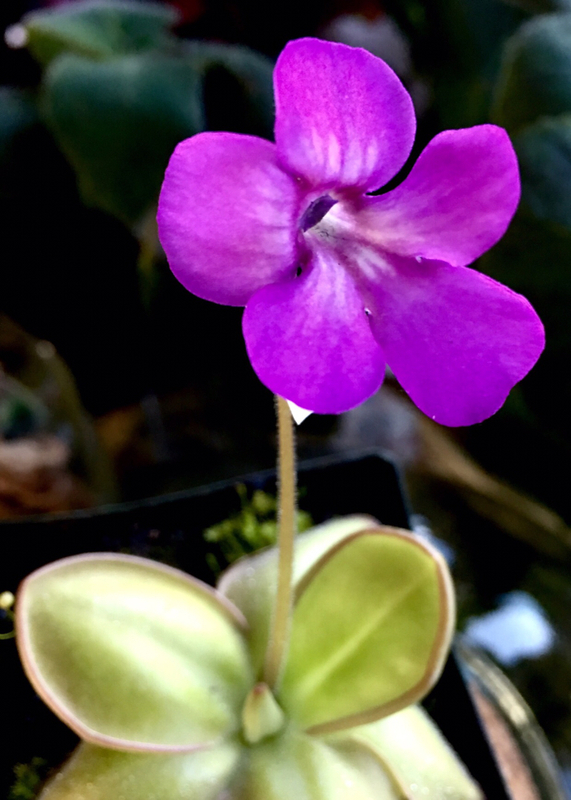 My reading seems to tell me to grow like an African violet, only early morning direct summer sun at most. 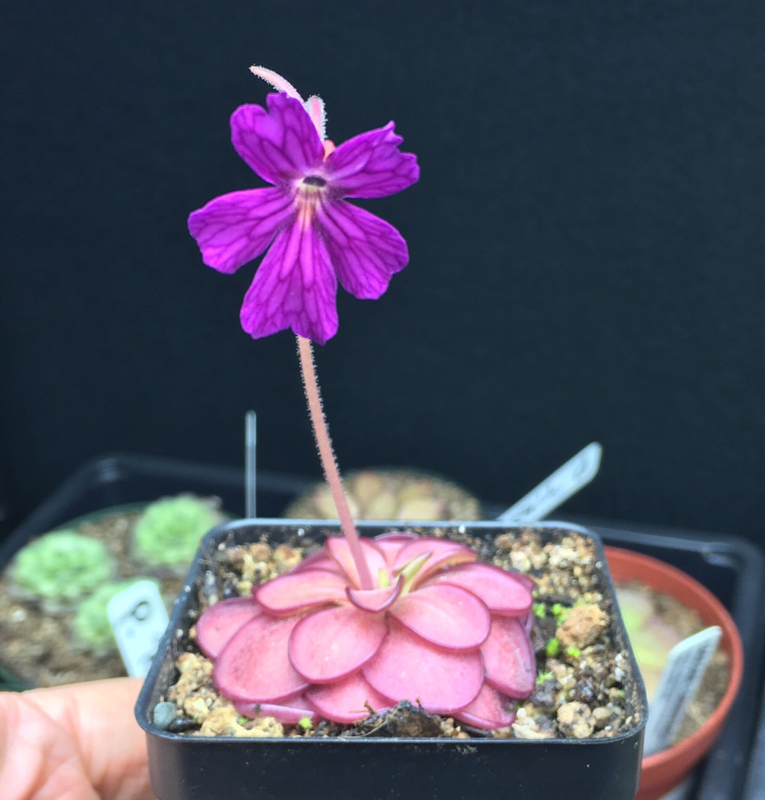 3) Drosera goes in the warmer main house (68F) and will take similar lighting conditions as above. 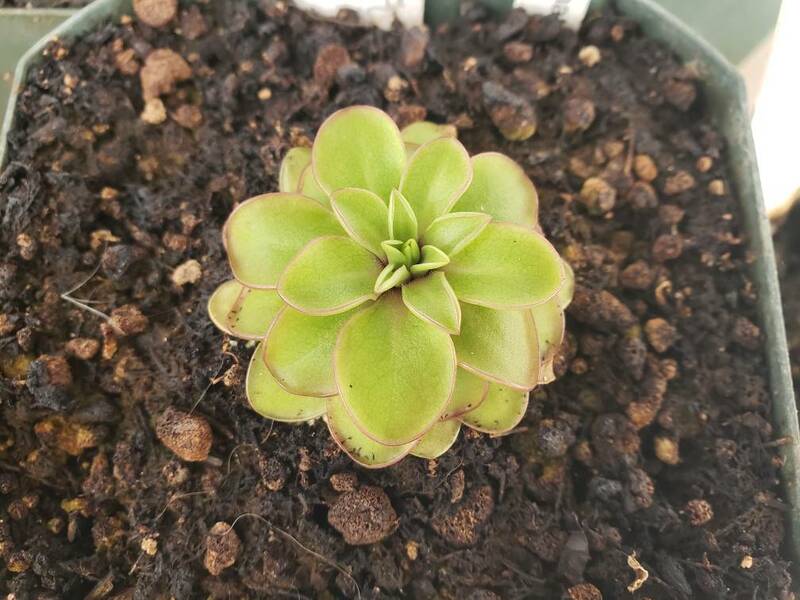 All will receive saucers to keep a minimum amount of water in, though the ping's will not be filled till it goes back to carnivorous leaves and winter foliage ping will be treated like an average houseplant, watered when somewhat dry.